Looking for the best Autel Scanner in the market that suits you? Then you’ve landed on the right page. In this article, I’m going to review the 10 Best Autel Scanners with a detailed comparison chart. 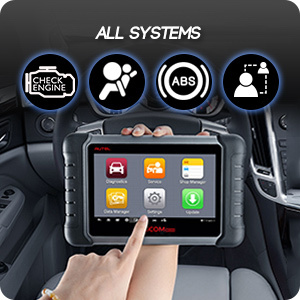 Bottom Line Autel Al619 is a quality device for average vehicle owners. Autel AL319 is the perfect pick for ordinary car owners. MK808 is marketed towards car enthusiasts and professional mechanics. Scanners made by Autel are always the best in the market. The Autel Scanners included in this review are the most preferred products in the market in 2018. 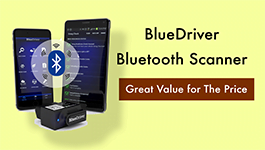 The scanners offer different functions for car owners, DIY, car enthusiasts, and professional mechanics and will be listed in the order of increasing price. Autel AL619 displays a lot of the information you need to work on just about any vehicle. Because of that, it’s a quality device for both the average vehicle owner and the mechanic alike. The Autel AL619 is similar to the AL519, except this one can also diagnose ABS / SRS codes. You can also view the information on the large color screen when it displays the live data, and even freeze the screen so you can analyze the information it provides. But one of the best things we like about this Autel scanner is the Diagnostic Trouble Code (DTC) Lookup feature. When the device provides you with either generic or manufacturer specific codes, you can quickly enter the code in the DTC Lookup field and it will give you the definition of the code so you know exactly what the problem is. Similar to the Autel AL519, the AL619 may not work all newer vehicles as advertised. A careful compatibility check before buying is highly recommended to make sure that the scanner will work well on your vehicles. However, this could just be an isolated issue that can be fixed with a simple call to Autel customer service. Not only reading and clearing ABS SRS codes, but Autel Autolink AL619 also offers Full-OBDII functions. 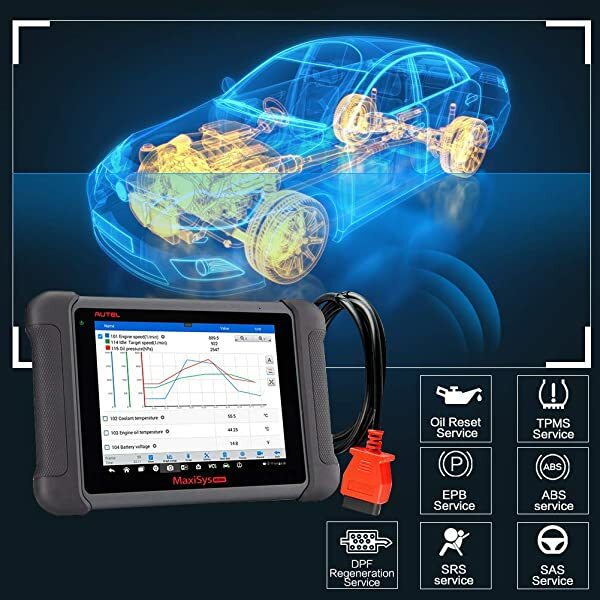 This Autel scanner displays a lot of the information you need to work on just about any vehicle. Because of that, it’s a quality device for both the average vehicle owners and the mechanic alike. Mechanics still may want a higher quality one for their main use in the shop, but Autel AL19 is definitely a reliable one to have around. Autel Autolink AL319 is the best choice of Autel code reader for beginners. The Autel Autolink AL319 is a very basic vehicle code reader, but customers love it because of the simplicity and reliability. Since it retrieves both generic and specific manufacturer codes, you’ll be able to easily see what’s wrong with your car when the check engine light is on. 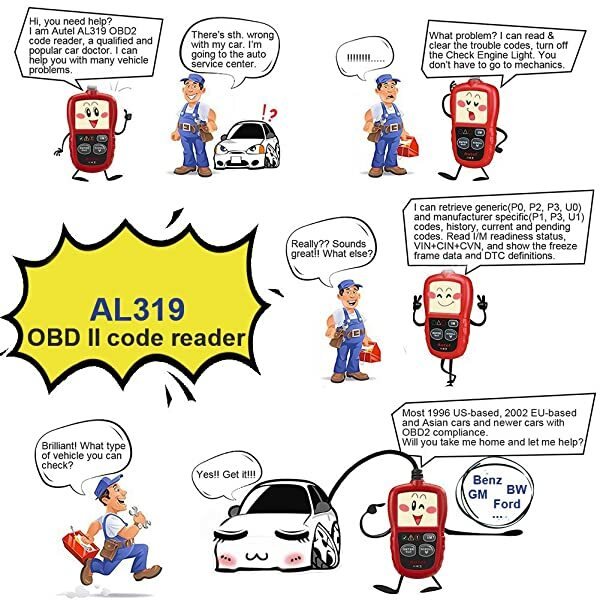 Autel Al319 code reader is designed for any vehicle owner who wants to save money on car maintenance. It doesn’t have a lot of the bells and whistles that other scanners have. However, it gives you just enough information to be able to fix basic problems that happen in vehicles frequently. The main thing that people complain about this unit is that it doesn’t give very much information. This Autel code reader does require you to do your own research when it gives you a code. So if you want your scanner to do more than that, you’ll need to spend a little extra money on a better scanner. Autel AL319 is an amazing OBD2 scanner which can turn off the CEL, read and clear codes and reset monitors. This OBD2 Code Reader also displays monitor, I/M readiness status and retrieves vehicle information (VIN, CIN, and CVN), etc. The Autel MaxiCom MK808 is marketed towards car enthusiasts and average vehicle owners. What Makes Autel MK808 Special? The Autel MK808 is a fast and modern tablet scanner. It lets you work with a big, vivid touchscreen, and lots of power processes. 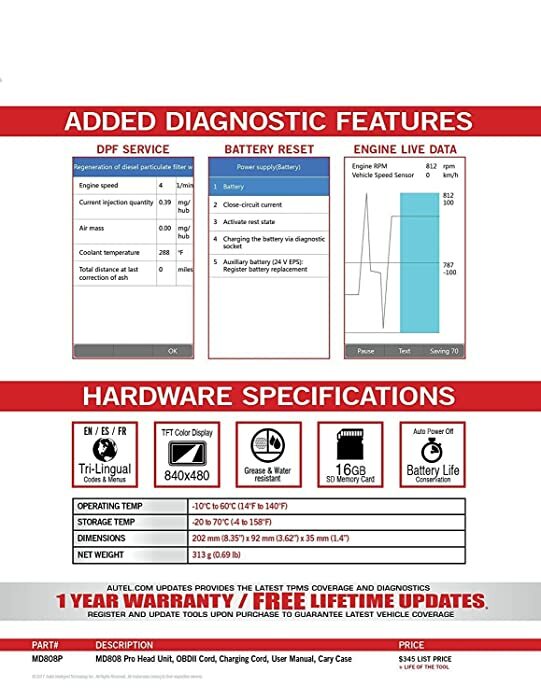 Moreover, the Autel diagnostic tool is recharged faster than a normal OBD2 scanner. This means codes come up faster and the live data display is incredibly useful. To be clear, the Autel MK808 not only work with basic OBD2 codes, but also read advanced manufacturer specific codes from domestic, Asian, and European brands. This means that you can use the Auteltech diagnostic tool to perform an oil reset or read DPF/TPMS/IMMO/EPB/SAS codes. 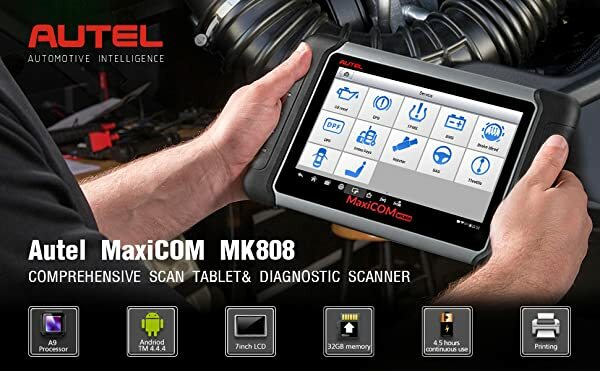 Autel MaxiCOM MK808 can diagnose All Systems of your vehicles, perform All-Service Functions and offers full-OBD2 Modes. 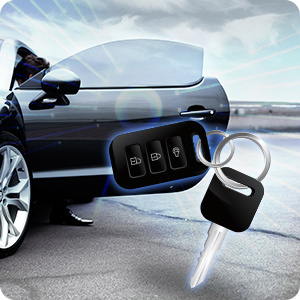 This Autel diagnostic tool can also perform Key Programming, which helps protect your car from being stolen. One of the best parts of the Autel MK808 scan tool is its wide compatibility. In other words, it’ll work with every make and model of car and read almost any manufacturer-specific codes. 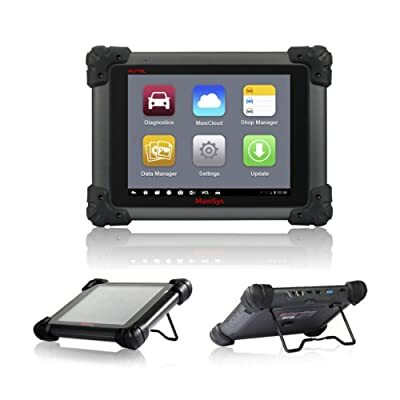 The Autel MaxiCom MK808 diagnostic tool is marketed towards car enthusiasts and average vehicle owners. The incredible compatibility and ease of use make it a top choice for anyone working with cars professionally. Autel Autolink AL519 is the best choice of Autel scanner for DIY’ers. The Autel AL519 works on all vehicles made in 1996 and later and can display live sensor data for customers. The large display screen and Autel’s patented One-Click Readiness Key gives you the emission status with just a press of a button. While this Autel scanner can provide you with quite a bit of information, you all will like it because you can select what data you want to see on the screen. The scan tool will show the live data in graph form for only the information you select, or all of the data. The flexibility is very attractive to customers. Autel AL519 has a large display screen and Autel’s patented One-Click Readiness Key giving you the emission status with just a press of a button. 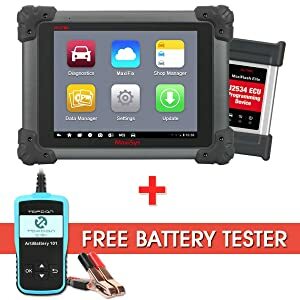 Any DIY’er would appreciate having this Autel scanner since it’s fairly inexpensive and displays just enough information to fix your car and maybe a couple others. Although the Autel AL519 claims to be able to work on all vehicles made in 1996 and later, you should check compatibility carefully before buying. 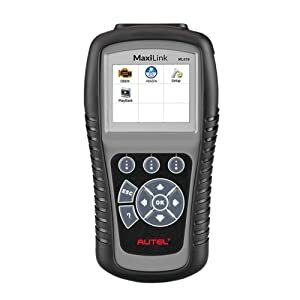 Autel Maxilink ML619 is an ideal choice for DIYers and mechanics as it helps read and clear ABS and SRS codes along with many other basic functions. Autel Maxilink ML619 is among the best Autel scanners out there. It can diagnose faults in the SRS and ABS systems among others. You can read both generic and manufacturer specific codes with this reader. However, it doesn’t read live ABS sensor readings. It comes with a 16GB Micro SD card, a USB cable, and a nylon cover for protection as well. This makes it easy to keep the scanner safe and to transfer data. Apart from ABS and SRS codes, you can turn off MIL, clear pending codes. check I/M readiness, freeze frame, and get live data with this corded device. This Autel code reader works on almost all 1996 and newer vehicles (OBD2 and CAN compatible). Continue reading. We’ve got the Full Recommendation and the Special Buying Guide for you at the end of this review!! Autel MaxiCheck Pro is suitable for all types of users including professionals. 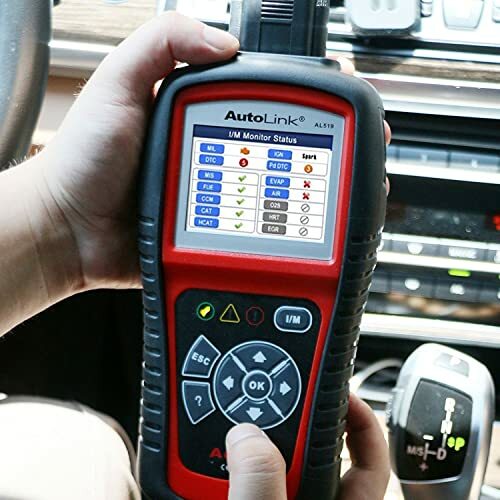 This Autel diagnostic tool reigns supreme over many other obd2 scanners due to its wide variety of features. You can check faults in the EPB system and find out what’s wrong as the scanner provides an explanation for the code error. It also helps you stay safe by reading and clearing ABS/SRS related codes. Moreover, it’s also helpful in keeping the car well-maintained and running as it lets you read and reset oil light as well. You can find problems in the diesel particulate filter as well and see if the exhaust system is working fine or not. It supports battery management tests so that you can keep the vehicle’s battery in a good shape. Moreover, you’ll be able to perform basic functionalities of an obd2 scanner as well such as read and clear CEL, freeze frame, I/M readiness etc. This Auteltech scan tool covers all 1996 and newer obd2 supported cars. The scanner is suitable for all types of users including professionals. 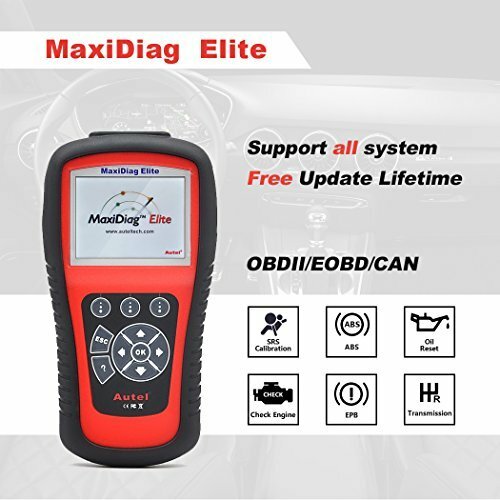 Autel Maxidiag Elite MD802 is built for those who want to a Scanner with full-system functions and full-OBD2 Modes. Now I want to talk a little bit about the Autel Maxidiag Elite MD802 OBD2 Scanner. 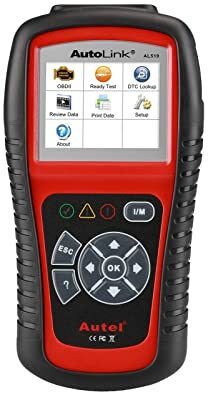 In addition to the basic scans you can do with most code readers, this Auteltech scan tool also performs oil light resets, tests electronic brake, and reads and erases codes on all chassis, powertrain and body, and communication modules. 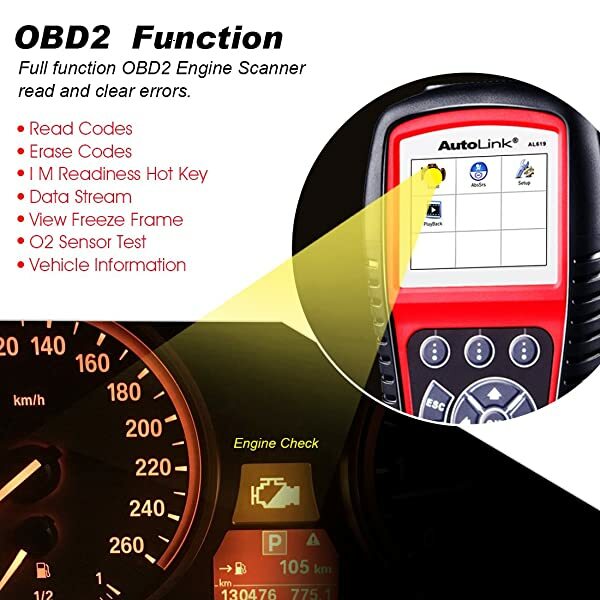 And one of the best parts about this Autel OBD2 scanner is that the information is displayed in an easy-to-read color screen with a One-Click AutoScan feature to make the process quick and simple. 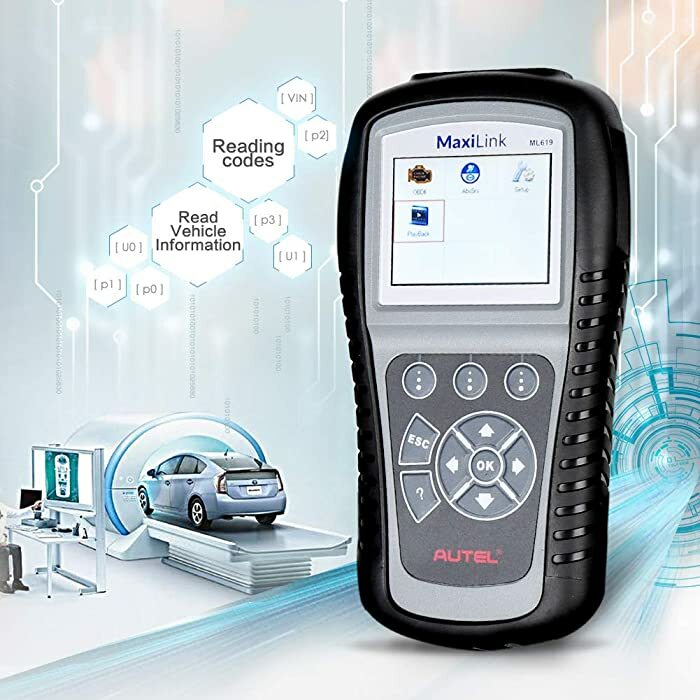 Most of all, you will like the usability of this Autel diagnostic tool combined with the amount of information it displays. The live data is so quick and easy to read that you can diagnose multiple cars in a short amount of time! It’s nice that you can update Autel MD802 by plugging it into a computer. But just make sure that you have the correct system requirements to do so. You can’t update the scanner on an Apple computer. A Windows computer would help. You may want to see more data on the screens, but for the price you pay, there is a decent amount of information shown on the live data display. 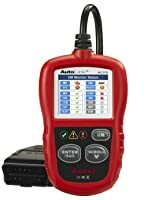 You will pay a little more for this Autel diagnostic scanner, but there are definitely more expensive ones out there. When you combine the features and the price into consideration, this is the best Autel scanner on our list. 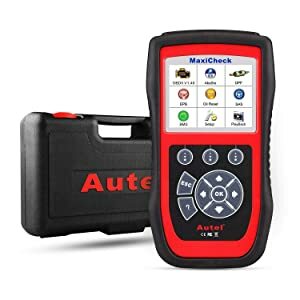 Autel Maxidiag Elite MD802 can be used by both the average vehicle owners and mechanics because of the combination of the ease of use and amount of information it displays. Suitable for DIYers, enthusiasts, professionals, and mechanics as it offers both basic and advanced features. 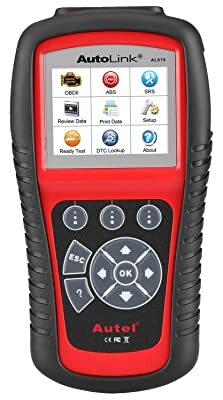 If you are looking for an Autel scan tool that offers many advanced features then Autel Maxidiag MD808 is your best bet. It provides ECU information and covers four basic features: ABS/TCS/VSA, SRS, SRS and Engine PGM FI. 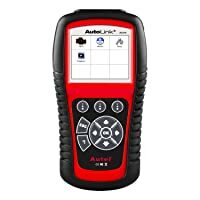 This Autel code reader can read and clear oil reset, perform battery reset, and read various misfires too. 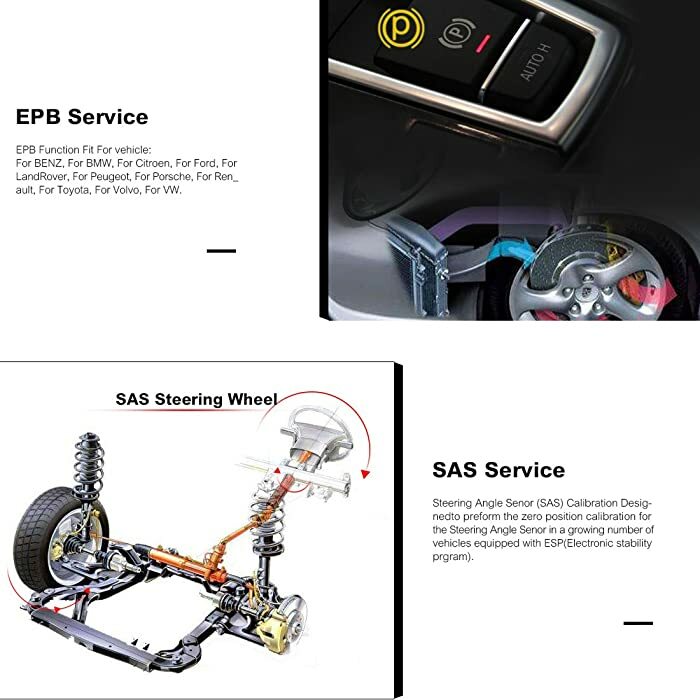 You can read fault codes in the DPF (problems in the exhaust, soot problems etc), EPB (bad brake sensors etc), SAS (steering angle calibration and associated problems), ABS (problems in the wheel sensors and abs system) and SRS (issues in the airbag deployment system) as well. Autel MaxiDiag MD808 covers a wide range of vehicles that are 1996 or newer obd2 compliant models. However, it shows some problems with the USB version 1.0 that it comes preinstalled with. Make sure to update the software using the USB cable and you’ll be good to go. This Autel obd2 scanner is suitable for DIYers, enthusiasts, professionals, and mechanics as it offers both basic and advanced features. 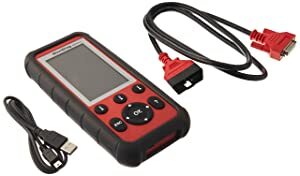 The Autel MS906 diagnostic tool is the updated version of the Autel DS808. It includes the same features as the DS808, but it runs at a faster speed and allows more multitasking. 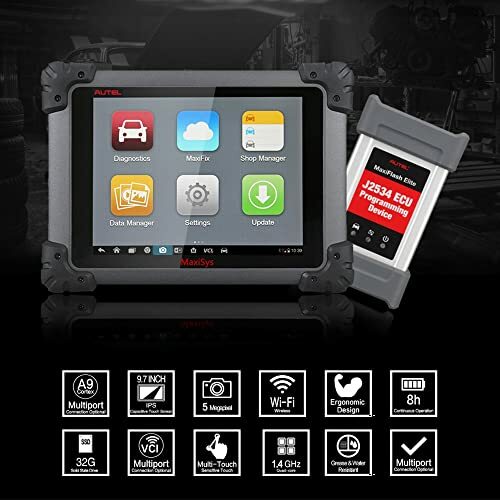 Autel MS906 has everything that a professional mechanic want for your daily operations except ECU Coding/Programming. Technology is going to fail at times, and that is no different with this scanner. Sometimes it may not update properly and sometimes it might not connect to the Wi-Fi right away. These are really the only downfalls of this Autel diagnostic tool. But they are usually quick fixes with a call to customer service. Autel Maxisys MS906 can do anything a professional mechanic want including ECU Coding. Autel MS906 is definitely not designed for the average vehicle owner, and the price point shows that. Many mechanics have this diagnostic scanner in their shop because of the usability and functionality. If you want the best Autel scanner in your shop, and you aren’t afraid to pay a higher price, then Autel MS906 is all you need. What makes Autel MS908P special? 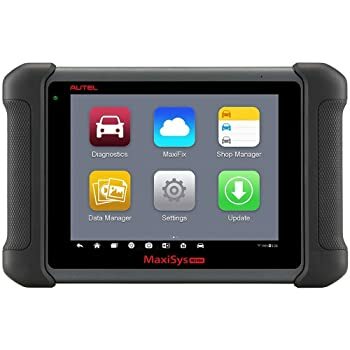 The Autel MaxiSys Pro MS908P Automotive Diagnostic Scanner is the newest product on my list and it’s definitely for mechanics only. It is evolutionary, smart and sleek specialized for ECU programming and automotive diagnosis. This is one of the most comprehensive OE level diagnostic tools made by Autel. It’s rated numero uno by most of the auto websites, and also the top of the line. From a mechanic’s standpoint, this Autel scanner has everything you need for your daily operations. It has a very large color screen and is easy to use so you won’t have to waste time when you’re on the job! One can safely conclude the vitality of this Autel diagnostic tool. It is fast, powerful and reliable. Use it as a professional tool or in an auto repair shop and you would be far from being disappointed. Run son 1.48Gz, a beast of a scan tool, it roll out information 55% faster than its comparative parts in the similar price range. Clear information with a lesser margin for error, the high-resolution interface takes care of it all. The Android operated feature is exclusive and can do multiple tasks at a time. 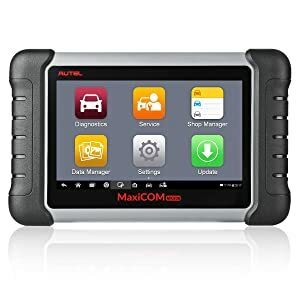 Especially, you have the convenience of connecting Autel MaxiSys Pro Ms908P with your phone or laptop to screen the entire deal with the best professional automotive diagnostic scanner available and use the reading and details of repairs and modifications. The technology is fairly new in the market when it comes to OBD2. But it is indeed very easy to use and you don’t have to browse the internet for every tiny problem you come across. Now, this scanner comes in handy because your project might be multi-faceted. From a mechanic’s standpoint, Autel Maxisys Pro MS908P has everything you need for your daily operations. Did you know that you could connect your Autel OBD2 scanner to the cloud as well? Yes, it does. 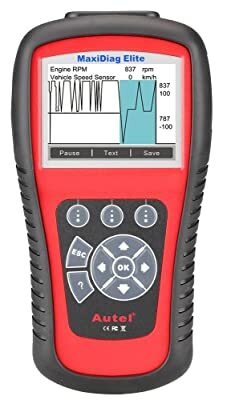 The Autel MS908P diagnostic tool is also wireless. Now we all know how cool that can get! Move around as you work for you do not have to be leashed to a single place as you are working. Designed with high standards so doesn’t fit everyone’s pocket. It’s a high priced product. That’s all. I’ve given you all the reviews you may need before making your own decision of purchasing an Autel Scanner. Autel is one of the best brands of vehicle scanners on the market, so get one from this list today and you will thank yourself later. Once you enjoy using it, leave me a comment below and let me know how helpful my review is and how much you like the scanner you’ve purchased from my list! Many of the mid-range scanners today have these features since they are the most basic. However, there definitely are lower-end models that don’t have them all, and higher-end models that feature much more information. If you want to spend some extra money to get a top-notch scanner, you will find that they have features like Wi-Fi capability, live data and graph, freeze frame data, OBD-I vehicle capabilities and more. Once you determine why you want to buy a vehicle scanner, it will be easier to narrow down the features that you need. This will ultimately make your buying experience much easier and ensure you get exactly what you want out of your scanner. It’s my pleasure, Ronald. Hope you are having good experience with your choice. Hey ther tim…looking at the autel al629..or the ml629…what is the rea diference…i just want to use for my own vehicles and friends..and just want to make one purchase. What do you recommend?…thanks! I would recommend ML629 for its reliability.